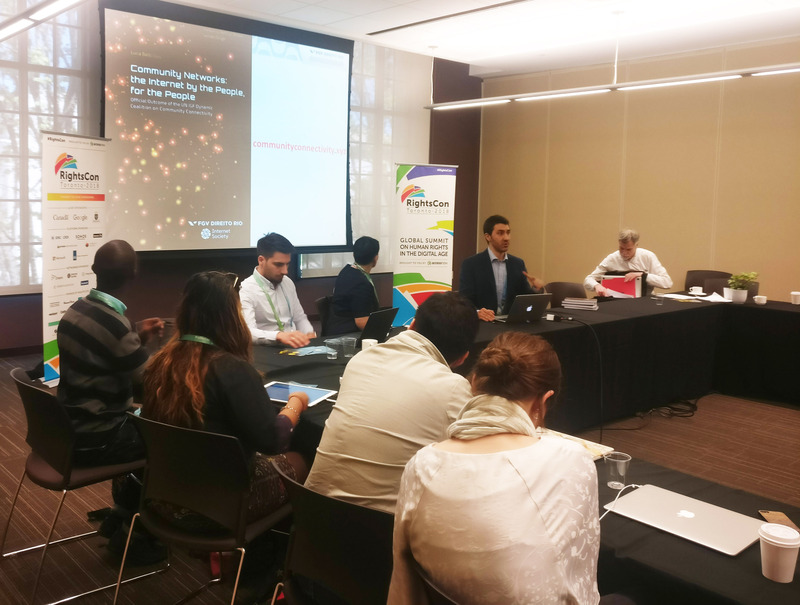 MAZI hosted a session in the world’s leading conference on human rights, RightsCon 2018, in Toronto, Canada, 16 May 2018. The session “Digital inclusion in urban renewal: DIY toolkits for citizen inclusion & empowerment“ brought together activists, DIY communities, policymakers, journalists and human rights defenders, presented the latest trends in Community Networks and DIY culture and demonstrated the MAZI toolkit in a hands-on workshop. Luca Belli, Senior Researcher at the Center for Technology and Society (CTS) of Fundação Getulio Vargas (FGV), gave a talk about network self-determination, digital inclusion and everyone’s right to build the Internet. Doug Schuler, member of the MAZI advisory board, presented opportunities and challenges of DIY Civic Intelligence and finally the Next Generation Internet activities within the European Commission were presented. 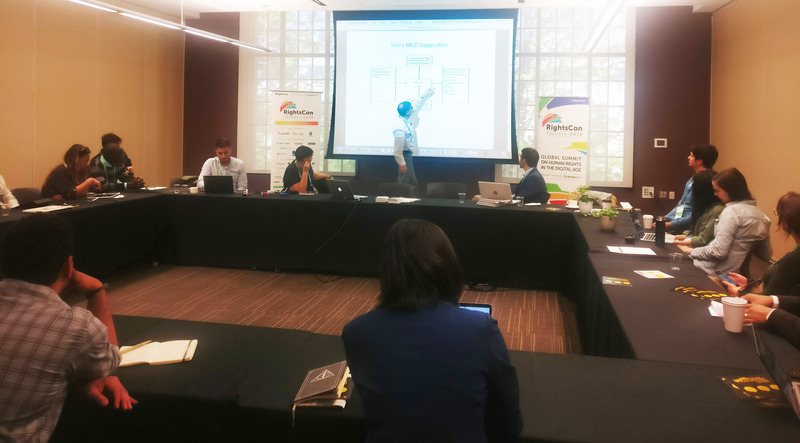 In the hands-on workshop, the audience was split in three groups, each group was provided a different MAZI Zone and they were called to configure their zone according to a given context following guidelines. 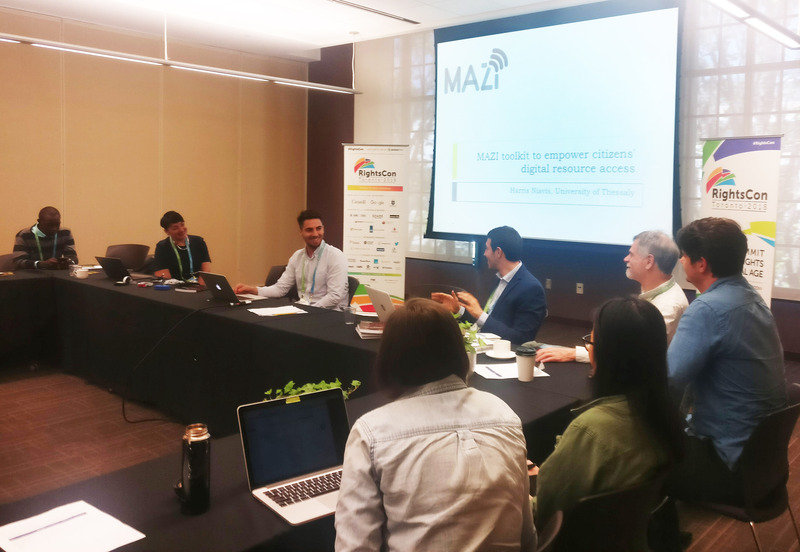 In this interactive workshop, important feedback about the usability of the MAZI interfaces was gathered and new ideas were emerged and shared with everyone during the last sum-up session.